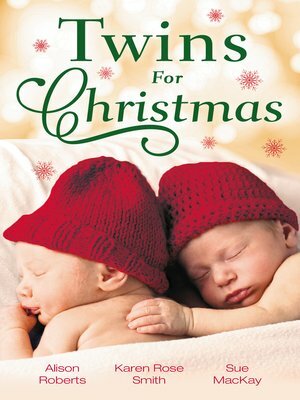 Christmas with a single dad and his five-year-old twins is just what nanny Emma Sinclair needs to help her recover from chemo. But for her brooding boss, Dr Adam McAllister, the festive season is one he'd rather forget. Emma is determined to give the children their first real Christmas, and as she works her magic, Adam can't help being captivated. As one passionate mistletoe kiss leads to another, dare Emma dream of a future – together? Dr Lily Wescott was now the proud mother of twin baby girls, but she couldn't have done it without Mitch Cortega. The decorated combat surgeon was with her every step of the way. And the young widow was finding it awfully hard to resist him. Spending time with Lily was making Mitch yearn for something he'd never known was missing. The wounded combat surgeon knew they both needed time to heal. But with Christmas just around the corner, it was time to move on and trust in a love that promised a future filled with the true joy of giving!